Resolving the Oil Industry Hiccups – The oil industry often saw downtime due to pipes being stuck within the wellbore. A common problem like this occurs with changes in the physical state of a well and it becomes difficult to carry out normal drilling operations at the site. Oil sites are particularly vulnerable to sand slides or mineral deposits. 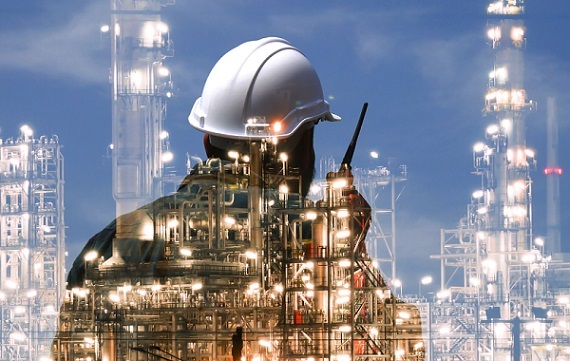 With predictive analytics solutions, oil companies are able to assess the conditions of a well real-time and build an almost accurate picture to predict if operations in a well would be conducive. Engineers’ expertise with physics-based models is combined with statistical models to predict the most likely occurrences of non-productive time (NPT). Additional insights such as how many new wells to build, the average lifetime of an existing well bore, selecting sites also becomes easy. Popularly known as survival analysis in the oil industry, this type of analysis serves as an indispensable tool designed to analyze censored data by estimating the lifetime through the failure rate. This also helps the companies to identify wellbore sites most likely to cause problems and delay operations. Data Integration in Physical Systems – The energy sector has majorly relied on physical systems. But data governance and data integration with these systems is a mammoth task. According to a survey by Accenture, 63% of energy respondents feel that data integration is a roadblock as the quality of data, and the ability to analyze it are not at par with other industries. But, energy companies are resolving these issues by making sure that data collected is highly relevant to the businesses and proprietary data that helps differentiate these companies is recorded and analyzed effectively. Complete data integration with existing systems will not eliminate them but help reduce the decision making time, increase efficiency and productivity at lower costs with adequate focus on the insights generated through this data. Maintenance Issues- A major pain point for the energy and utility sector is maintenance. Unanticipated pipeline bursts, shut downs, interventions, and outages disrupt service and cost millions for organizations. This is where advanced analytics comes to rescue. Sensory data can be analyzed to develop a precise approach and proactive (predictive) attitude to maintenance. Unusual stress or load, equipment failure, and shutdowns can be prevented with better data and advanced analytics capabilities. Companies use smart systems and data models for setting up processes and performance metrics that help prepare better.